In between proper laughs and shooting photos, Gracey, Chloe, and I walked around the always charming West Village. We ventured deep within the village to my favorite street, Grove. 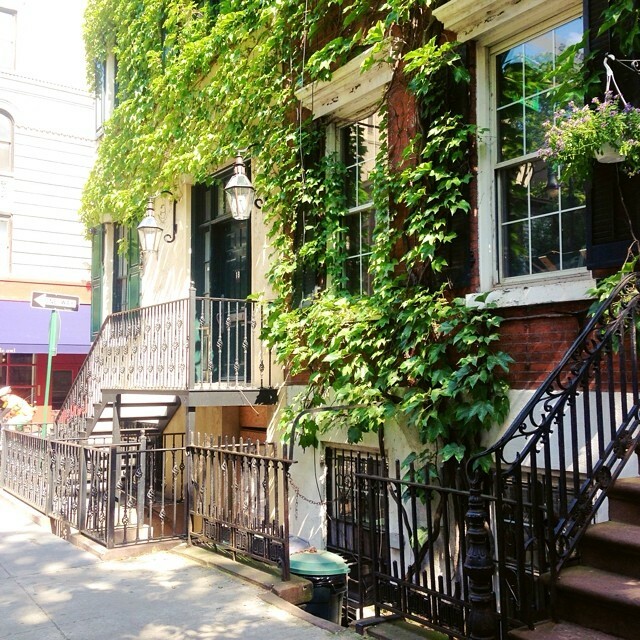 The quaint street is lined with ivy covered townhouses (when can I move in? 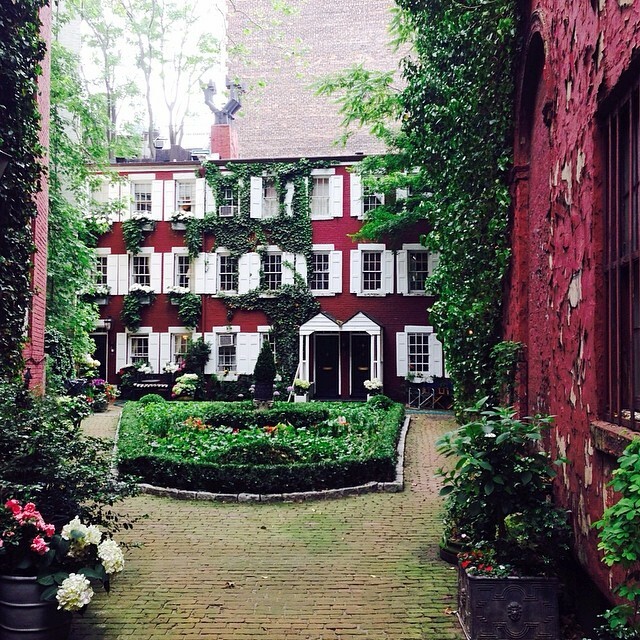 ), and has this hidden treasure of a courtyard which you'd never think was in New York City. 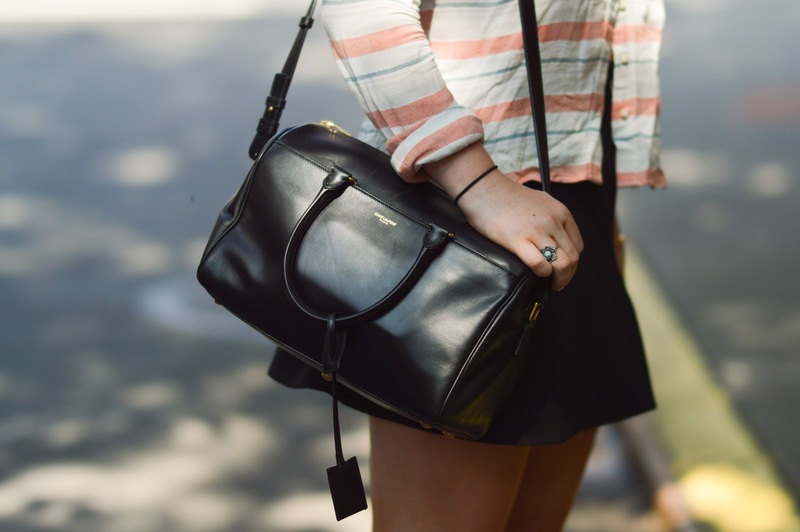 On the topic of a treasure, when I was in Bergdorf Goodman a few weeks ago, I scored this Hedi Slimane validated bag 50% off- great finds in a great city. Love how breezy your shirt is! !